I am listening to a lot of Podcasts and Audiobooks. 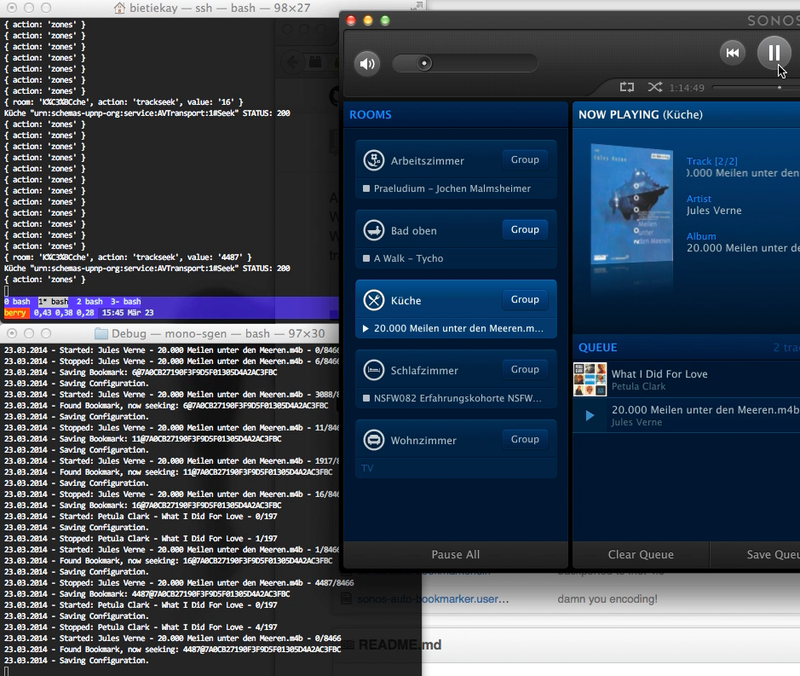 And it turns out that those two Genre are not particularly good supported by SONOS. When you’re listening to a 4 hour podcast and you stop it to play a song in between (since you stretch the listening of that podcast to several days) the next time you start that 4 hour podcast the SONOS system did not remember the position that you stopped at the last time and restarts the podcast from the beginning. If you did not remember where you left of the last time, you’re lost. The same goes for Audiobooks. Now this is the first feature I am teaching my SONOS system. And I am opensourcing it so you can do it as well. 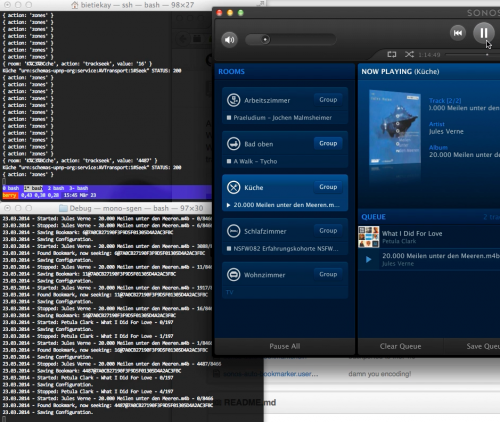 You need NodeJS and node-sonos-http-api installed and running. Now the Auto Bookmarker Tool will, with the help of the sonos-http-api, monitor your household and whenever something longer than 10 minutes is played and stopped it bookmarks the last played position. Whenever you restart that track it will then seek to the last known position automatically.